Action for Refugees supports the Migration Working Group North-West, led by Edge Hill academic Dr Zana Vathi. 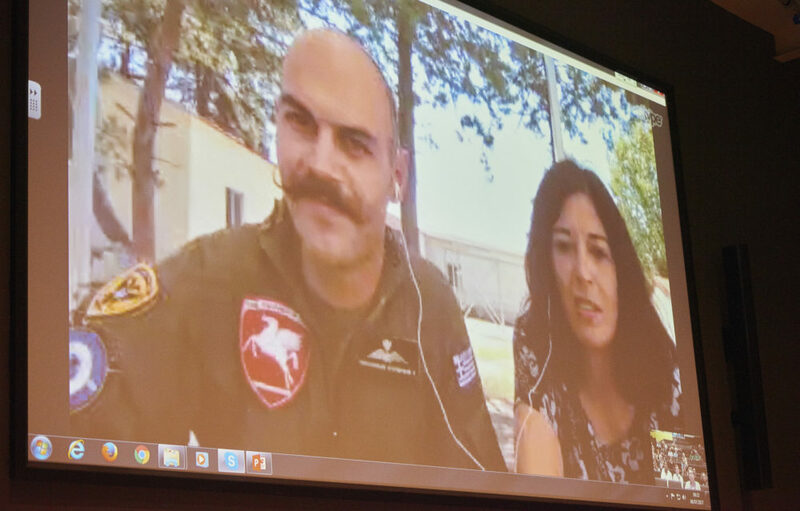 Members of AfR are affiliated to this new group, which brings together academics and activists across the region working in, or researching migration in the North-West. 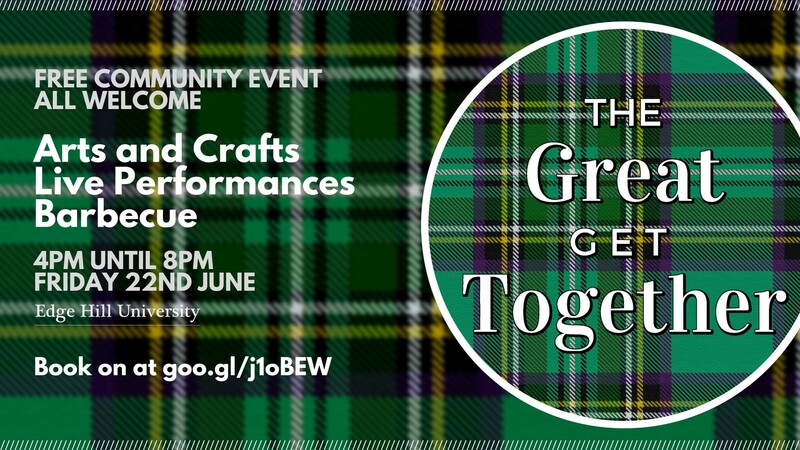 Affiliated members beyond Edge Hill include arts, health and housing organisations based in the region. 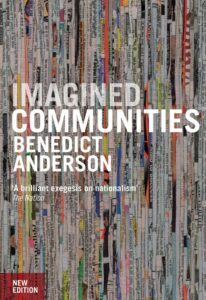 In 1983 Benedict Anderson wrote ‘Imagined Communities’, a book that pointed out, among other things, that the communities, towns, cities and especially nations in which we live are not actually real. Although they might feel real to us, part of our lives, our identities, have you ever actually seen an England? Touched a Manchester? The point I make here, in an admittedly abstract way, is that we dwell in a world in which we are divided by many categories and identity hooks that are essentially made up. The United Kingdom only exists because we all agree it does, just as we agree to follow, uphold and even celebrate its laws and culture. If we were to wake tomorrow having forgotten the UK, it might be a nightmare in terms of law and order, but we may also feel free, albeit isolated and alone. As though these categories and labels dive us they also unite us, giving us commonalities that we share, and which make us feel safe, like we belong. It is this exact feeling of collective national consciousness that captivates the nation during a royal wedding, at times of national crisis, or during the football world cup, the last two being much the same. 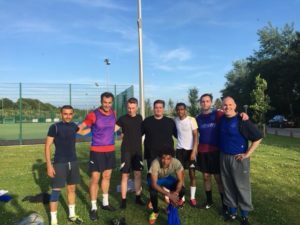 On a warm July evening the Wanderers Wanderers took to the field in the annual staff football tournament in memory of Tom Bell. 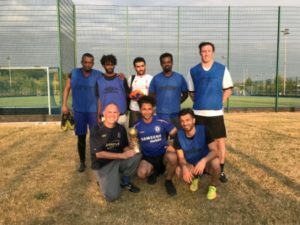 The organisers were kind enough to welcome players from the local refugee community to take part in the tournament for a second year. An intended outcome for the Action for refugee group is provide practical support to refugees, asylum seekers and those agencies working with them. Football provides an enjoyable and practicable vehicle to do this. Staff from Edge Hill played in the tournament team. In addition trainees and staff have played matches organised by Dr Jack Sugden from the Faculty of Arts and Science. Jack has extensively researched the ability of sport to bring groups together. The Department of Education and Communities (within the Faculty of Education) has within its vision identified the importance of ‘ valuing and engaging with all our diverse communities’. 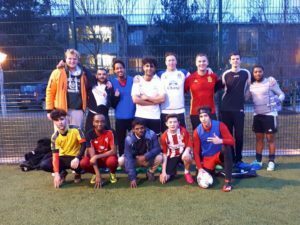 Primary trainee teachers have taken part in Refugee Welcome days that include football as an important aspect.